A special thanks to Travis (our 11 year old volunteer website designer) for constructing this page. Here at the "Canby Farmers Market", we welcome people of all ages, but we know that sometimes while their parents are doing their shopping it can be really boring, that's why we have the, "Sprouts Kids Club", so that the experience can be more fun and joyful, we have a scavenger hunt, so while the parents are doing some shopping the kid's will be content trying to find our market friends. Kids, find our 3 healthy plush veggie friends all around the market, and get a special surprise! If you're stumped, ask one of our friendly market vendors for a clue - they who hold the secret of finding all the sacred veggies! And who knows... they may just have one hiding at their booth. We love veggies around here, that's why if you can tell the Market Staff where they are all hiding, you will get a special market treat. Their names are, Carrie the Carrot, Tom the Tomato, and the only one we know Larry the lettuce we keep on losing him (he's a cabbage head). Swing by the market information booth on your way into the market to pick up a market scavenger hunt sheet. 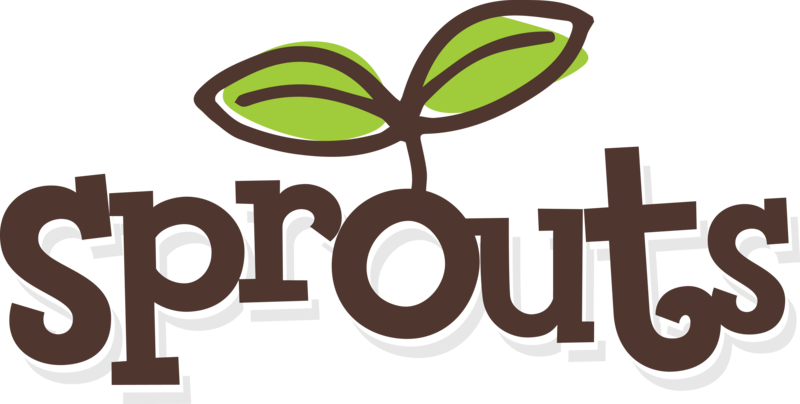 Your kids will have their own membership cards when they join the, "Sprouts Kids Club". Each time the kids find Tom, Carrie, and Larry ,we will punch their card, when they have five punches on their card they will get a free $5 market token to spend on produce at the market.